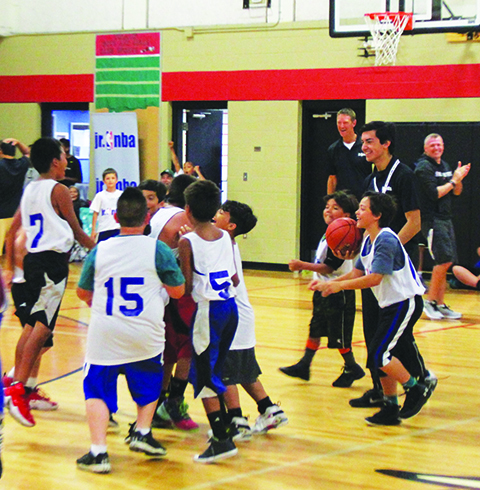 History was made at the Tulalip Boys & Girls Club over the weekend of July 8, as the National Basketball Association (NBA) selected the Tulalip Tribes to host a first of its kind summer basketball camp focused on engaging Native American youth. 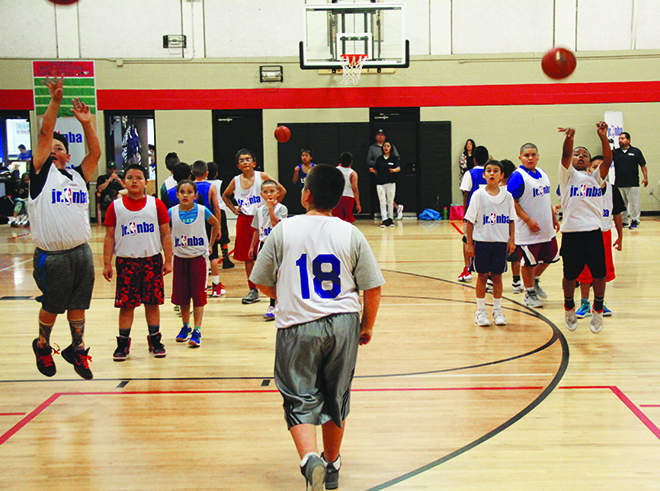 The three-day Jr. NBA camp was developed to be a youth basketball participation program for boys and girls ages 10-14. 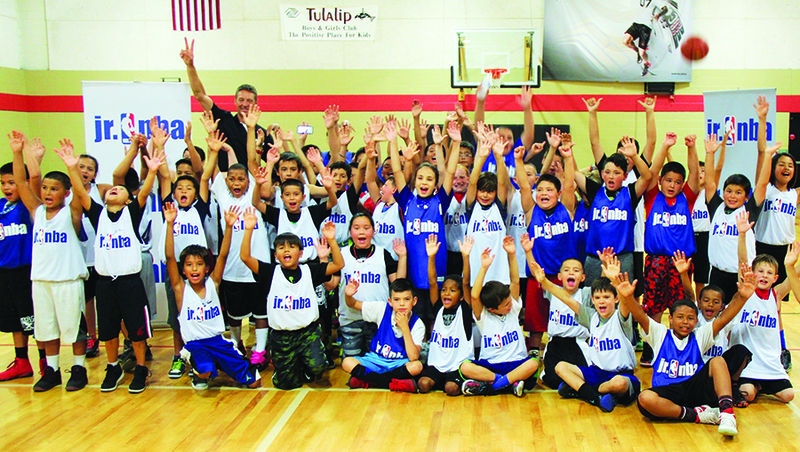 With the NBA holding this event on Tulalip Tribes’ land, it marked the first time ever a Jr. NBA camp took place in Indian Country. 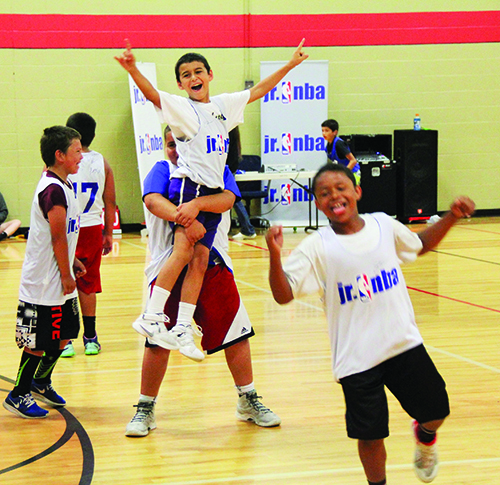 Jr. NBA camps are designed to teach the game’s fundamental skills and core values at a grassroots level to help grow and improve the youth basketball experience for players, coaches, and parents. Within the Tulalip community, we know how much our people, especially our youth, love the game of basketball. To have NBA players involved, such as SuperSonics legend Detlef Schrmpf and former University of Washington stand-out Spencer Hawes, the opportunity for camp participants to make life long memories and have memorabilia signed added even more benefits. With the assistance of NBA and Boys & Girls Club staff, the Jr. NBA camp taught our youth the importance of hard work, teamwork, discipline and self-respect. Their focus was to provide the young Tulalip athletes of all skill levels with the instructions and training that have made some of the NBA’s brightest stars elite on and off the court. Every camp session started with plyometric warm-ups that got the youth primed for the next series of basketball training. After several rotations through four different fundamental skill stations that emphasized proper footwork, ball handling, shooting and defense the campers would get a short water break before moving on to team competitions. Team competitions varied by day and age group. There were shooting competitions showcasing the forgotten art of the mid-range jumper, a team oriented 3-point shot contest, and even a point-blank range, lay-up style competition. But what the youth looked forward to most were the daily 5-on-5 half court and full court games that ended every session. During the spirited team competitions there were several game winning shots made. Each one was met with a booming celebration from the kids and the NBA staffers. 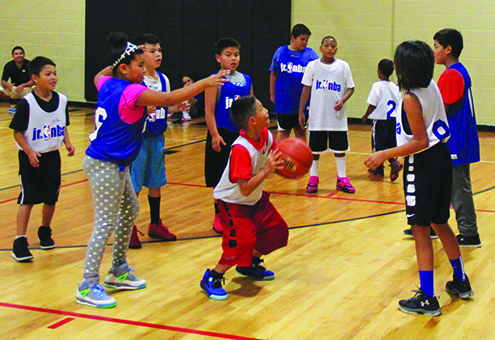 A highlight of day 3 took place during the 5-on-5 full court championship game between the 10-12 year olds. With the score tied and only seconds remaining, 11-year-old Frank Salomon from Lummi corralled a rebound and launched and connected on a fade-away jumper as the game buzzer sounded. It was an unprecedented weekend all around. From all the youth who got up and got to the Boys & Girls club by 8:00 a.m. on a Saturday and Sunday, the dedicated parents who made it happen, the NBA and Boys & Girls Club staff and trainers who made this Jr. NBA camp special and memorable for all the youth participants, to breaking down a barrier and hopefully forming a lasting partnership between the NBA and the tribes. “The Tulalip Boys & Girls Club had a great experience working hand in hand with the Jr. NBA basketball team,” adds Marlin Fryberg Jr. “We were selected to be the first Tribe ever to host a Jr. NBA camp for kids. Talking to the kids over the weekend they really enjoyed themselves. We had approximately 140 boys and girls participate, which involved representation from other tribes including Puyallup, Nooksack, Lummi, Muckleshoot, Swinomish, Klamath, and Alaska Natives. This entry was posted in News, Sports, Tulalip News and tagged Basketball, Jr. NBA camp, Native Youth, sports, Tulalip by Kim Kalliber. Bookmark the permalink.